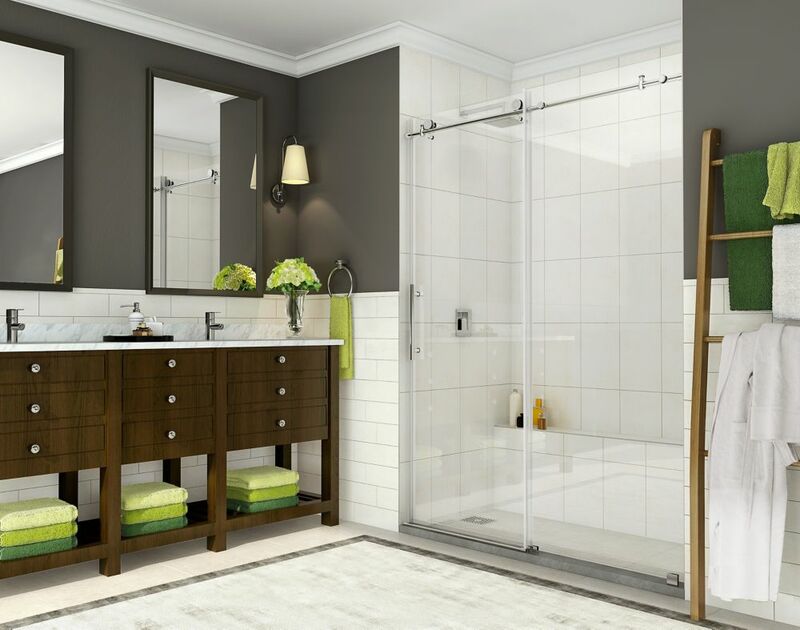 Establish a brand new look for your bathroom with the Aston Langham 72 in. Completely Frameless Sliding Shower Door. Accentuated with either chrome or stainless steel finished hardware, premium thick 3/8 in. (10mm) ANSI certified tempered clear glass, reversibly engineered for left or right hand opening and deluxe full-length seal strips to prevent leakage; this European-inspired, luxurious door instantly creates a sophisticated custom-look style for your bath at a fraction of the cost. Perfect for that alcove space in your bathroom. This model is engineered for both right and left handed door installation. This model does not include a shower base. Instantly transform your current bathtub alcove with its old door or curtain with the Moselle completely frameless 60 in sliding tub-height shower door. This luxurious fixture is designed with equal parts beauty and functionality in mind. With its smooth, effortless sliding function, this door comes complete with 10mm ANSI-certified clear tempered glass, either stainless steel or chrome finish hardware and deluxe clear leak-seal strips to prevent leakage. This European-inspired door creates a custom-look style for your bath at a fraction of the cost. Coraline 44-inch to 48-inch x 76-inch Frameless Sliding Shower Door in Chrome is rated 4.8 out of 5 by 41.